David Hyner Where does the secret of success lie? Where does the secret of success lie? People often think of success as those big goals and those big things that we do in life but this isn’t always the case. In this lesson, the last in this series, David Hyner – an international speaker, author, broadcaster and researcher on goal setting – explains that success is often quite the opposite and often lies in the smallest decisions and choices that we all make. Grant Leboff: One of the things I thought was really interesting that reading some of your material is that people always think of success as these big goals and these big things that we do in life and yet, one of the quotes that I picked out from your book is that success lies in the smallest decisions and choices that we make and I thought I was a really interesting way of thinking about things. Can you just explain what you mean by that? David Hyner: It’s important to work with what’s true Grant, and most of us will have big goals and we assume we know why we want them and yet, frequently, what we’re chasing is not the thing that’s going to make us happy. This is borne testament with the many countless millionaires and billionaires who sell their business, they’re worth a fortune, only to find that they’re on their third marriage, the kids don’t speak to them and they’re drowning their sorrows in a cut glass whiskey tumbler on the 19th hole of a golf course… and they’re going; what was it all about? I was doing it for them. Well really? Did you ask them what they wanted? You see, everyone thinks it’s the big things that make the biggest difference and yet, in my research with top achievers, virtually – not all of them but virtually all of them – have eluded to making one simple decision that changed everything. And if we were to go back… I mean Grant, you would probably be able to go back – even if you don’t know it, if you went back you would find it – one simple decision you made. Whether it be; should I get a job or go to university? Should I read a book or go to the pub? Or, as my friend Mark Eccleston the world tennis champion says; should I go to training in the rain or go to the party? The simple little decisions make the macro difference. It can be a thought, a behaviour, an attitude… but the simplest of things lead to the biggest of things. If we need to change of behaviour, a thought, an action, we can think about, we can dream about reading business books, but I know someone at the moment who is actually a mission to read a book a month every single month this year and apply what they learn. Now I’d put good money on, in ten years time, that person is doing all right, thank you very much. The question is, what decisions are we making day to day – not only that hold us back – that we need to take, that will take us forward? Are we going to read the book or are we going to go to the pub? Grant Leboff: So success often lies in those small decisions that we make and sometimes the things that we think aren’t important, but actually, are. David Hyner: Can I can be quite brutal? How many funerals have you ever gone to where in the eulogy they stand up – a friend or a colleague stands up to give a eulogy and they say; good old Sheila, she financially provided for her children. Good old Trevor, he had a helicopter and a house in the country. They never say this stuff. They are remembered for who they were and the difference in people’s lives. That’s because these people had tiny little parts of their life that, every single day, this is what I do. This is who I am. It’s my identity. This is how I think and behave. They did things to make a genuine lasting difference in the world. And before I get a bit esoteric and fluffy for you, these people will be remembered. They have a legacy. Some people say; money, that’s my legacy to my family. These people tend to be really wealthy people who have already provided. They just keep making money because they don’t know why they’re doing it. I’ve challenged numerous millionaires, including one guy who went away, made one simple decision and now he’s become even wealthier. But by gosh he makes a difference – by making one tiny decision. It’s the small little decisions that lead to the macro differences. 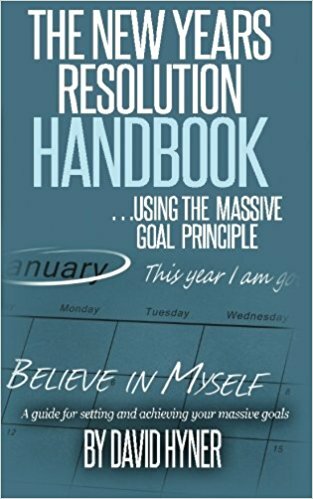 Having interviewed over 250 top achievers to understand how they remain so effective and how they achieve their MASSIVE goals, David is an in demand speaker and trainer on the subject of “MASSIVE goals” and “Emotional resilience”. A multi-award winning speaker, presenting to between 10k-50k people globally each year, he shares his passion for helping us all to set and achieve our MASSIVE goals! David Hyner explains that success is often quite the opposite and often lies in the smallest decisions and choices that we all make. What is a personal statement and why is it so important? 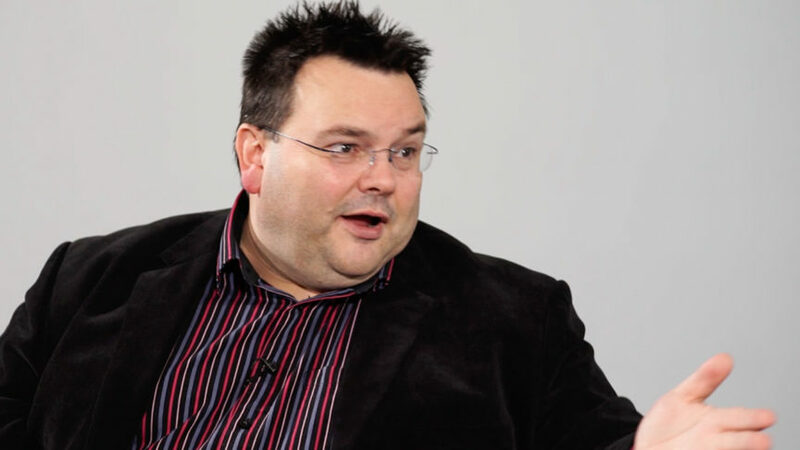 In this lesson, David Hyner – an international speaker, author, broadcaster and researcher on goal setting – explains why a personal statement is a benchmark of behaviour and thinking for high achievers. What role can Mastermind groups play in helping people achieve the results they want? In this lesson, based on interviews with 250 top achievers, David Hyner explains the origins of the Mastermind group and its pivotal role in the industrial revolution. What’s the difference between not just setting goals, but setting MASSIVE goals? Let’s say you are feeling sad or tired or you are in physical pain. Is there a technique which enables you to let go of that stress? In this lesson, based on interviews with 250 top achievers, David Hyner – an international speaker, author, broadcaster and researcher on goal setting – explains the Sedona Method, as used by special forces if injured in the field. How can I let go of stress? What is the Umpire’s exercise? In this lesson, based on interviews with 250 top achievers, David Hyner – an international speaker, author, broadcaster and researcher on goal setting – explains that we're probably not breathing in a way that is helping us to achieve what we want to achieve. Are you a Cow or a Rhino? In this lesson, based on interviews with 250 top achievers, David Hyner – an international speaker, author, broadcaster and researcher on goal setting – explains the difference between cows and rhinos, as defined by the American author and psychiatrist, Scott Alexander. How can I prevent stress? We are all capable of doing too much work, getting stressed, doing things that cause us grief, anxiety and stress – but how can we prevent it? In this lesson, based on interviews with 250 top achievers, David Hyner – an international speaker, author, broadcaster and researcher on goal setting - Explains how we need to make ‘de-stressing’ an habitual behaviour. What is the difference between stress management and prevention? 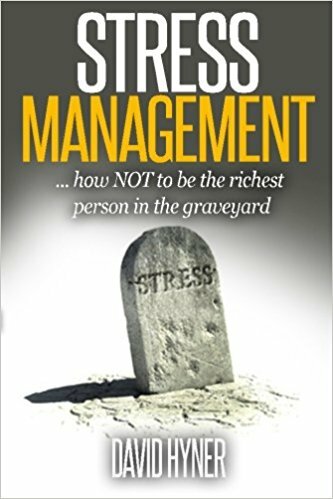 In this lesson, based on interviews with 250 top achievers, David Hyner – an international speaker, author, broadcaster and researcher on goal setting - reveals that top achievers don't go about managing stress... they actively prevent it in the first place.